The Friends of Rouge Park are having their next planning meeting for their 5K Fun Run this evening. It will happen at Chick's Bar (18550 W Warren Ave. - (313) 441-6055) at 6 p.m.
A friend of mine is a police officer in Las Vegas. I'm not sure if this has actually happened in southeastern Michigan, but I'm sure the crooks will bring this one to the Midwest eventually if they haven't already. It turns out that there's a whole new way to steal someone's credit card information. The whole thing starts when you walk into a restaurant or retail store. You pay for your purchases with a credit or debit card; handing the card over to what you presume to be an honest employee. They hand you back a credit card and you slide it into your wallet without giving it a second glance. It's only later that you realize that the card returned to you is someone else's expired credit card or a counterfeit card entirely. Of course, by the time you discover the switch, they've already charged several thousands of dollars to your account and you've probably forgotten what the employee in question looked like. For that reason, it's always a good idea to look at your credit card when it's returned to you after using it anywhere. Make sure that it's yours. The Detroit Department of Transportation will hold a set of four public meetings about the Detroit Transit Options for Growth Study at different locations in and around the city. 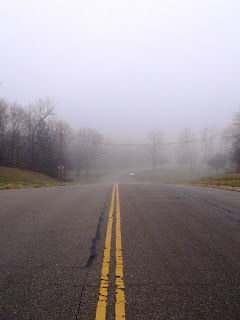 The closest of these meeting to the Warrendale neighborhood will be on Saturday, July 28 from 10 a.m. to 1 p.m. in the Ford Community & Performing Arts Center (15801 Michigan Ave. in Dearborn). Allow members of the public to offer their comments and suggestions. Each meeting will begin with an hour-long open house providing members of the public with an opportunity to discuss the issues with project staff and view displays to help them understand the proposed options. A brief presentation will then be given that will focus on the scoping process, project purpose and alternatives currently under consideration. After this presentation, members of the public will have an opportunity to comment and offer suggestions. The same information will be presented at each of the meetings. Information about the day, time and location of the other three public meetings is available here. The City of Detroit's Department of Health & Wellness Promotion will host a free Lead Poisoning Prevention Conference to educate Detroiters about lead prevention through good nutrition and lead safe remodeling, renovation and minor homes repairs. It will take place Friday, July 20 from 8 a.m. until 3 p.m. at the Eastern Campus of the Wayne County Community College (5901 Conner, map available here). Lunch will be provided to pre-registered participants. Please call 313-876-4212 to register. The City of Detroit received a $4 million grant from the U.S. Housing & Urban Development Department (HUD) to fight lead poisoning in our neighborhoods. The HUD Lead Demonstration Grant provides funding assistance for two lead hazard reduction programs administered by the Housing Services Division of the City's Planning and Development Department. Funds are available to single-family homeowners, citywide for the removal of lead-based paint hazards from owner-occupied properties for families with children under the age of six. Funds are available to landlords (one-to-four units), for removing lead paint hazards in rental properties that are occupied by families with children under the age of six. For more information about the programs, please call (313) 628-2565 or (313) 224-3461. 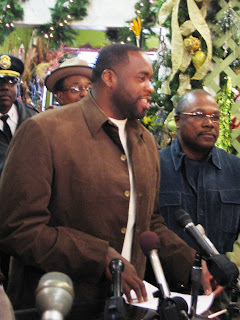 Mayor Kwame M. Kilpatrick announced his proposed neighborhoods for the second round of Neighborhood Enterprise Zone tax cuts. That portion of the Warrendale neighborhood that is west of the Southfield Freeway is getting a property tax cut of between 18 - 35%. This proposal is still subject to approval by the Detroit City Council. The Council has scheduled a hearing on Mayor Kilpatrick's proposal for Wednesday, July 25 at 10 a.m. in the 13th Floor Auditorium of the Coleman A. Young Municipal Center (map available here). All Detroit residents are encouraged to attend this hearing. 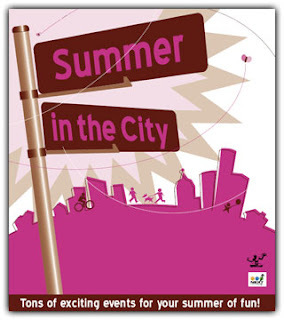 Mayor Kwame M. Kilpatrick has published a Summer in the City Guide. When I first heard about it, I thought it would be just another one of those cheap publications that tell you about entertainment options during the summer. Information on the Home Heating Credit, which Detroiters have until September 30 to apply for. I encourage everyone to download this this guide. 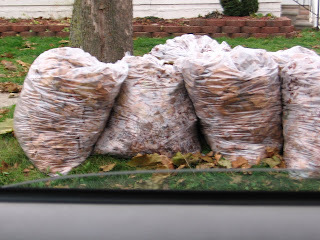 The City of Detroit is once again accepting applications for a discount on the $300 trash fee that all Detroiters now pay each year. This discount is available to Detroiters who are at least 65 years of age and have an annual household income of less than $40,000. If you believe you are eligible then please download the application here. Adobe Reader is required to view the application. You can download it for free here. 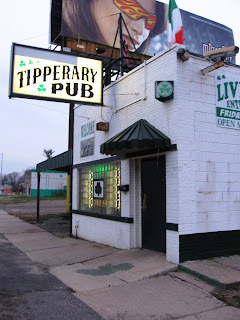 Anyway, it turns out that tonight at 9 p.m. is Open Mic Night at the Tipperary Pub. 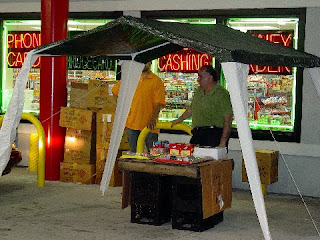 The Tip is located at 8287 Southfield Fwy., on the southbound service drive, just south of Joy Rd. Their phone number is (313) 271-5870. Good booze at reasonable prices. Open Mic Night at the Tipperary Pub truly deserves to be the Cool Warrendale Thing of the Week. There's a coalition of community groups that are banding together to deal with many of the same issues that all neighborhoods face. 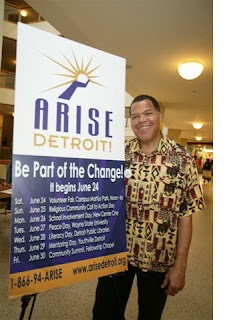 It's called ARISE Detroit. One of the things that they want to do is a "feel good" event called Neighborhoods Day, which is simply a series of neighborhood events around the city that will all happen on Saturday, August 4. This will include block parties, health clinics and so on. 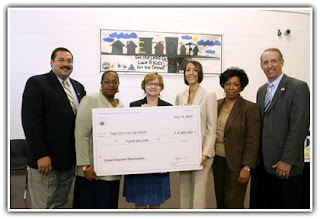 This is one of those things that the Warrendale Community Organization would jump on. However, since the WCO is currently on sabbatical until September, that won't happen. Regardless, the folks at Detroit Synergy have approached me to see if anyone in the Warrendale neighborhood would be interested in being a part of this through their project process. If you're interested in being a part of this, or know someone who is, please let me know. You can leave a comment below or, even better, shoot me an email at frank.nemecek [at] gmail.com. The Dog House Coney Island (19344 W Warren - (313) 271-DOGS) is looking for an experienced waitress. Anyone interested in this position should fill out an application, which is available at the restaurant. I was disappointed to learn today that King Wah Chop Suey (20510 W. Warren - (313) 982-9711) is temporarily closed. 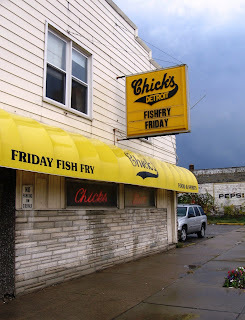 They will re-open this coming Friday, July 13. I'm pretty sure the elderly couple who runs the place just needed a vacation. Regardless, I look forward to eating there again soon. They have the best crab rangoon in town. Every summer, one can hear and see illegal fireworks being set off throughout the Warrendale neighbor- hood and its surrounding areas. It seemed there was even more of them than last year, but almost no enforcement of them. While there weren't any major accidents involving illegal fireworks this time in Warrendale, there certainly were some else where. We got lucky. One of the things that my fellow blogger, David L. Malhalab, pointed out in his posts on the subject is that as much as 60% of the calls for police service that involve reports of shots being fired turn out to involve fireworks. This, of course, pulls officers' extremely limited time and resources away from other things. More importantly, a report of shots being fired isn't exactly something that the police can afford to simply ignore under the assumption that it's just fireworks. There is also the persistent risk of property damage, or injury to innocent bystanders, when fireworks are used improperly. For more on this subject, please check out his posting here. The Friends of Rouge Park will host a 5K Run on Sunday, September 30. 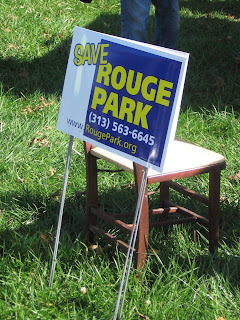 They are attempting to raise money for a picnic shelter in Rouge Park and need lots of help. If you would like to help plan the run, please come to their planning meeting on Wednesday, July 11 at 6:00 p.m. at Chick's Bar (18550 W. Warren Ave., 313-441-6055).